Filed in Software as a Service. Bot As A Service — the concept of creating a custom personal bot-assistant, which can understand your own commands in contexts you designed. 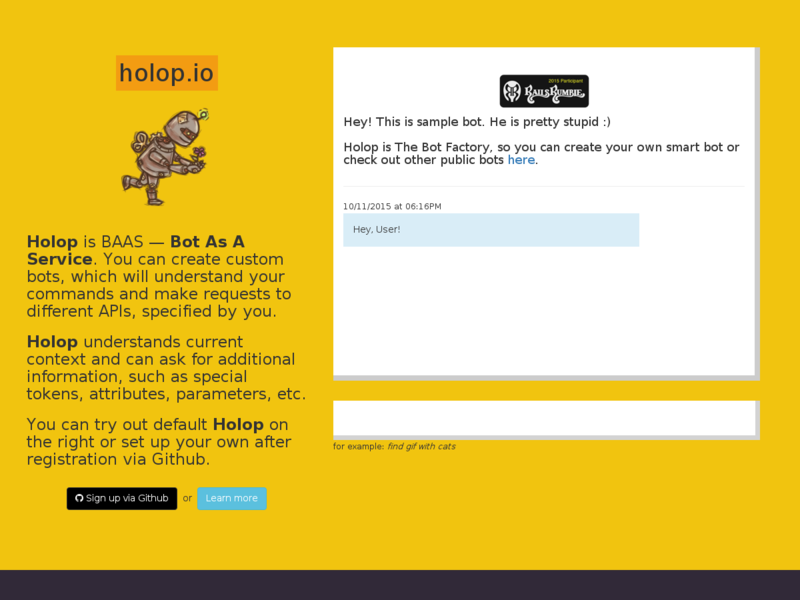 Teach your personal bot to work with any API you need without any additional coding. O'Reilly Media spreads the knowledge of innovators and expert early adopters to everyday users through books, conferences, news reportage, videos, and classes.